If you are a homeowner, chances are, you have spent a great deal of money on your gadgets and gizmos. So of course, it is in your best interest to protect these devices and appliances from electrical surges. Generally, power surges in a home’s electrical system are fairly minor, but can still leave you replacing electronic systems much sooner than expected. So if this is the case, what can happen to your electronic devices and appliances during a powerful electric surge? Surge protection is an important first step in protecting a home’s most important devices and high-efficiency appliances. 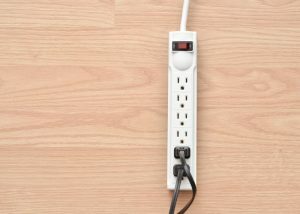 Of course, we are not talking about the small, portable surge protectors and powerstrips that you can find in your local hardware or office supply store. We are talking about whole-house surge protection. 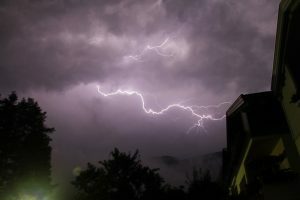 Below, we will discuss just some of the many reasons why you should consider investing in whole-house surge protection. Keep reading to learn more. Take a moment to think about all of the appliances in your home: your refrigerator, your furnace, your TVs, your computers, your lighting fixtures, your AC, etc. Now, think about what they all have in common. 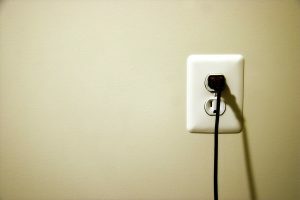 Each and every appliance in your home is dependent on electricity. So, as you can imagine, an issue with your electrical system requires immediate attention. 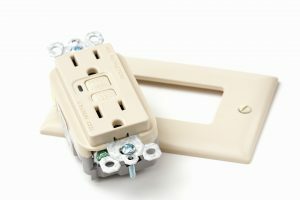 This is the reason why it is so important to hire an electrician in Birmingham, AL for routine inspections, as issues with your electric wiring can be quite dangerous if left unattended or unnoticed. In some cases, electrical rewiring is necessary to avoid hazardous situations, like electrocutions or even house fires. 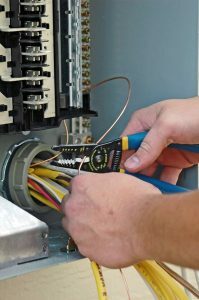 Even with regular maintenance, there is always a chance that a problem can occur, so it is important to be familiar with some of the tell-tale signs of an electrical issue. Below, we have outlined some of them. We all know what its like to lose power: it’s disruptive and inconvenient. Here in Alabama, we experience frequent power outages, especially during tornado season. Keeping the lights on during a storm is an important safety precaution to consider. Instead of worrying about what you are going to do the next time the power goes out, consider installing a new whole-house generator. 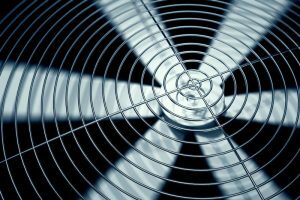 Douglas Cooling, Heating, & Electric installs and repairs whole-house generators for your convenience. A major power outage could last for several hours, or even days, which could leave you very uncomfortable. 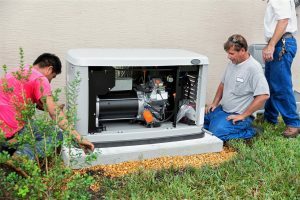 Installing a whole-house generator is the perfect solution for homeowners who experience frequent power outages. In case you need more convincing, we have provided more information about whole-house generators below. Homes rely on electricity more and more in the modern day, so it’s incredibly important to keep your home’s electrical system in top shape. 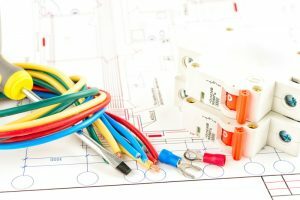 There is a wide array of electrical upgrades to consider for your home. These upgrades not only improve the quality of your home, but they can also help you lower your energy bills. If you need a great Hoover electrician, you need the expertise of an experienced technician from our team. If you’re interested in some possible upgrades for your home, keep reading below. Electrical issues are among those things that, while they may be rare, should be dealt with immediately whenever they come up. Electrical problems in your home can pose an immense risk to both your property and your personal safety through fire or electrocution. Having a professional electrician check out your electrical system for you at least once a year will help to keep serious issues from cropping up. It’s not a guarantee, though. You still need to keep an eye out for signs that your electrical system is in trouble, just in case a problem occurs between appointments. There are a lot of different symptoms you can look for that can indicate a problem with your electrical system. Have a look at a few of those symptoms below. A generator may seem like one of those things that would be nice to have, but isn’t all that necessary for the average homeowner. Well, that might be true in some areas of the country, but it isn’t true out here. If you want to keep your lights on in Birmingham, it’s not a bad idea at all to have a generator installed in your home. In fact, we’d go so far to say that it’s preferable to not having one. The following are just three of the many reasons why you should consider installing a whole house generator in your home this year.